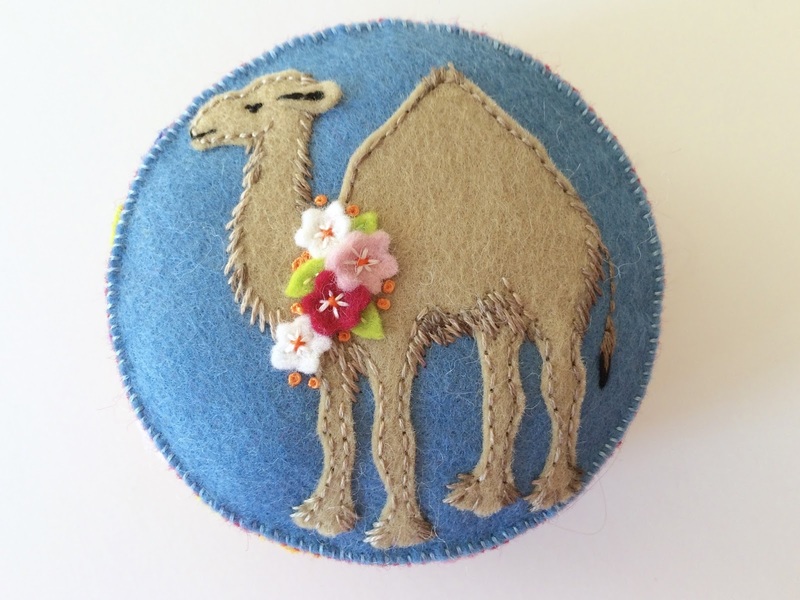 Some time ago, I was asked by a customer if I could make her a pincushion with a camel on it. 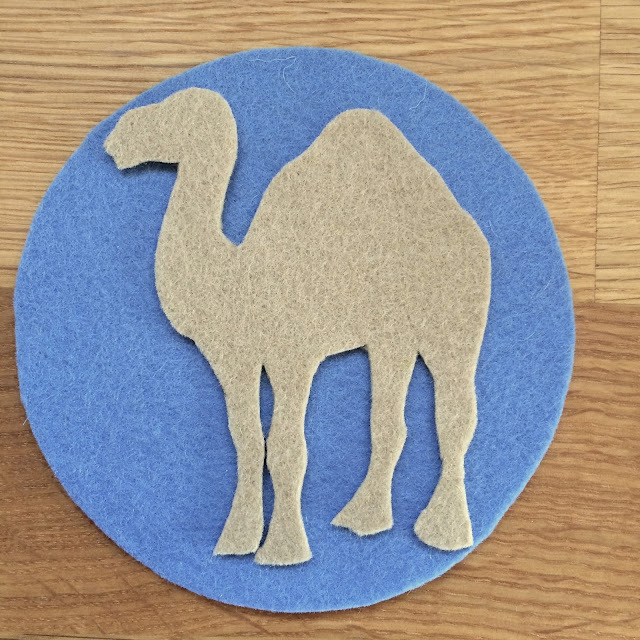 After looking at pictures of camels online, there being no live camels hereabouts(!! ), I realized what bizarre looking creatures they are. And drawing one was hard. 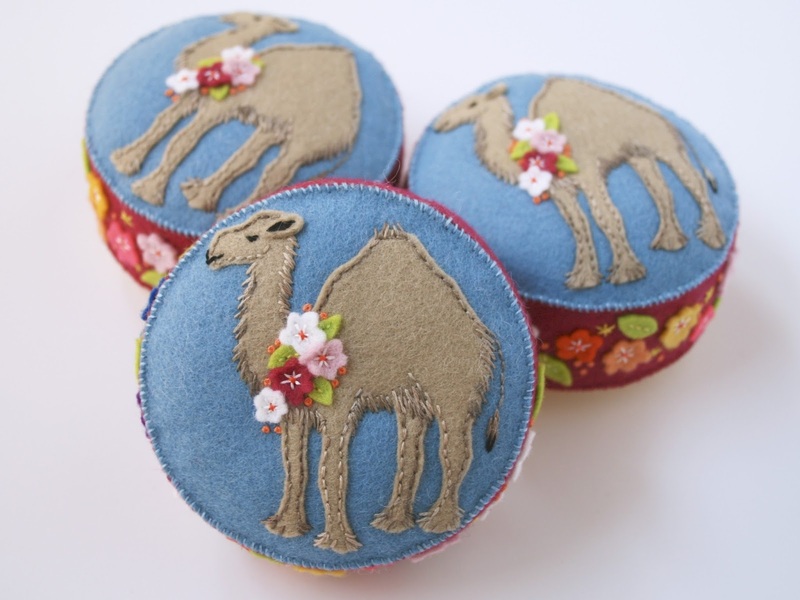 To begin with my camels looked very much like llamas! 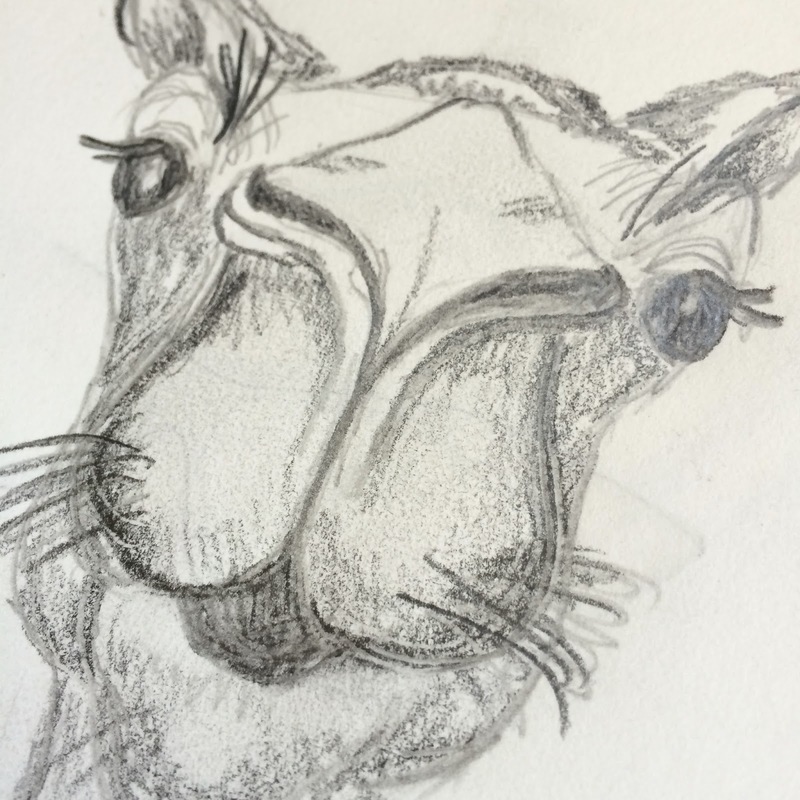 I persevered because to make something like this I have to have sketched the animal several times. 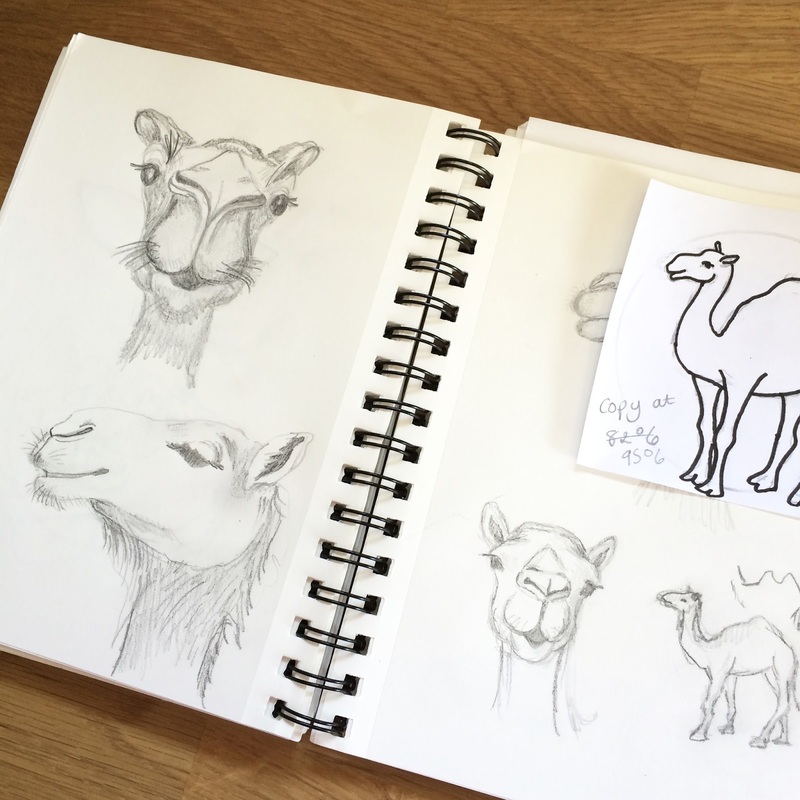 These are my last set of sketches. 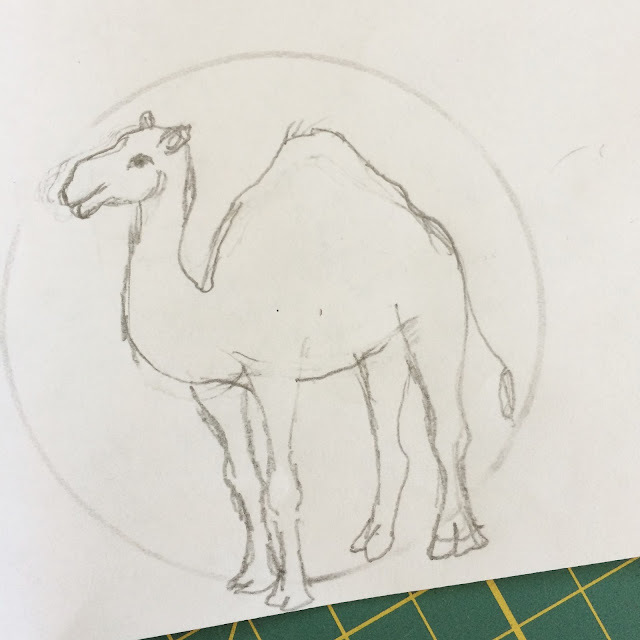 My customer requested a full body image of a camel and my process is to draw it till I'm happy with it then make a pattern. 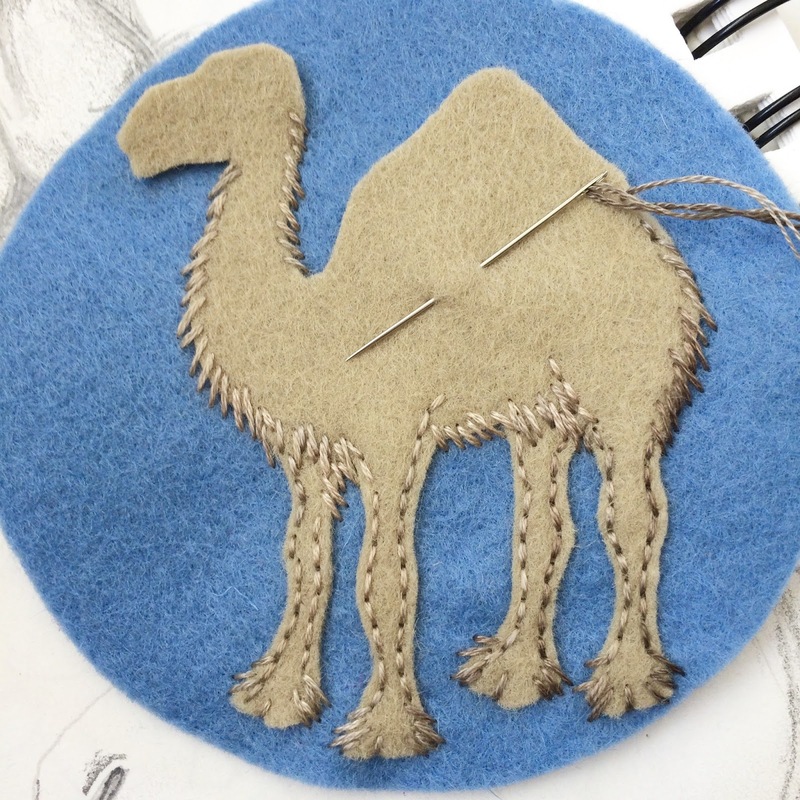 I had to shorten the legs and neck just a little bit to make them fit and even then my drawing overlapped the edges of the 3.5inch circle that represents the size of the pincushion top. What I do in this situation is just go ahead and finish drawing, go over it in black pen and then reduce the size by photocopying it. 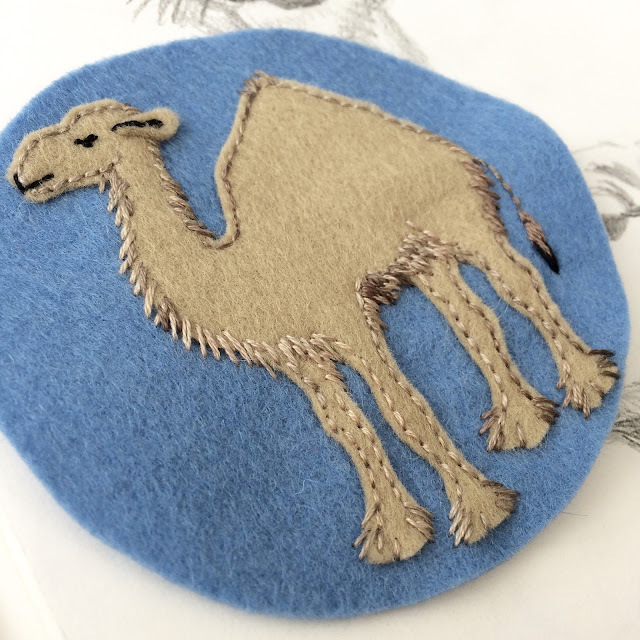 By stitching over the edge of the felt, I'm trying to make the camel look a bit shaggy. The feet are my favorite part! 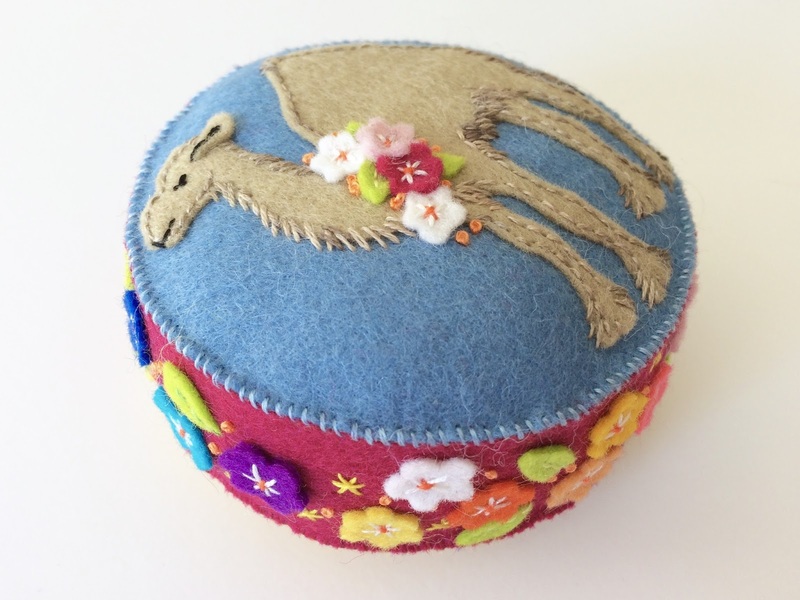 The side band of this pincushion is fuchsia with lots of flowers and leaves because my customer had mentioned how much she liked my happy elephant pincushion. 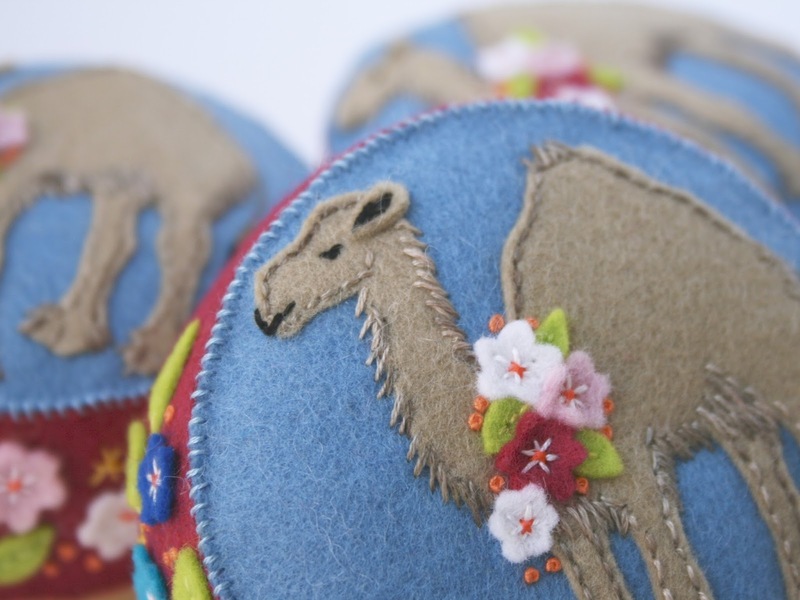 The camel looked a bit bare so with her approval I added some flowers around his neck - much better! 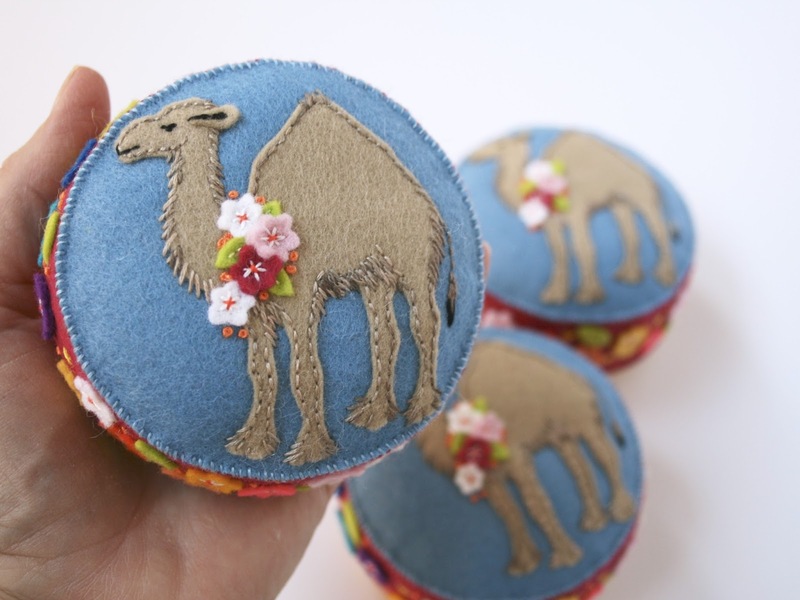 The extra two camels will be coming with me to the quilt show at the end of September. I wasn't sure if I was going to do the show again this year but I have decided to. My shop didn't really go quiet this summer as in previous years so I have been scrambling to keep on top of things and make enough items for my booth!